UNITED HEALTHCARE Partners With NvRA! NvRA Pharmacy Discount Cards for employees - order yours today! For more information, visit www.uhctogether.com/nvra. Or contact your broker or Alliah Sheta at alliah.sheta@optum.com. 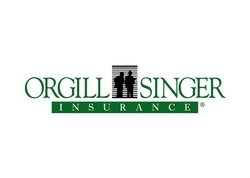 ​At Orgill/Singer & Associates, insurance is more than a business transaction. It’s peace of mind. Since 1986, we’ve been devoted to protecting businesses and families throughout Nevada by following one simple and guiding principle: Caring. ​Nevada Drug Card provides free prescription discount cards to anyone. These cards offer discounts on prescriptions medications to anyone who is Uninsured or Under insured. This program is not insurance. To get started on a discount card, Click This Link. To find out more information about Nevada Drug Card, click here. I Insure Direct is the Preferred Provider for the NvRA members Workers’ Compensation, Liability, Property and Automobile coverage. We have negotiate exclusive discounts for the NvRA members participating in the insurance program. With over 40 years of insurance underwriting experience, we have direct access to specialty markets including wholesale pricing to the members. Save money by insuring direct with the benefits provided by the NvRA insurance program through I Insure Direct﻿. View more information on their site. Our agency has over 100 year’s combined insurance experience. We write Auto, Home, Renters, Rental Dwellings, Vacant Homes, Mfg Homes, Motorcycles, Boats, ATV’s, Motor Homes, Travel Trailers & 5th Wheels, Antique and Classic Cars, Classic Truck and Utility Vehicles, Modified Vehicles, Motorsports Insurance, Classic Military Vehicles, Retired Commercial Vehicles, Collector Trailers, Antique Tractors, Vintage Motorcycles and Scooters, Vehicles Under Construction, High Value Vehicles and Collections. We also specialize in Contractors, Restaurants, and all Business Owner polices as well as Commercial Buildings all types of Farms, Farm Auto, Wineries, Vineyards, Orchards, Dairy, Ranches & Livestock, Field Crops and Nurseries. We now offer insurance for all types of Cannabis and Hemp operations from grow to retail.​ Find more info here. A competitive, responsive and professional agency for all of your insurance needs. We work diligently throughout California, Arizona and Nevada to find the best coverage customized for your unique needs. Please feel free to call our main office in Las Vegas at 702-680-0122 or email your questions and an agent will reply promptly. - Liability claims involving the unauthorized release of information for which the organization has a legal obligation to keep private. Our insurance is unique in that our coverage is broader than most other cyber policy protection plans. and affiliates. Our expertise is matched only by our personal commitment to each client’s goals. NFP focuses on Commercial Insurance, Private Client Resources, Corporate Benefits. Contact Rick Nomura to inquire about the company and their services.